Happy Wednesday Thursday! Today I am linking up again with Primary Chalkboard for their week long Read Across America Linky celebration! Today's Yesterday's topic is Favorite Reading Strategies and tips. There are so many pieces to teaching learners to become successful readers! I would like to share one strategy that is currently working for my littles. Although I know what I share will not be the entire formula for producing successful readers, but it is my hope that something I talk about can help you add to your bucket of tricks. This first product is from Little Red's Schoolhouse. I purchased their bundle of Daily Reading Non-fiction Reading passages, but they do sell each set separately. These are great for close reads of non-fiction. Students are able to practice comprehension strategies as well as vocabulary practice. This next one is by the wonderful Miss DeCarbo of Sugar and Spice. The consistent format of these passages and activities make for a great way to really focus on reading instead of fighting with reading and understanding directions. Another amazing part is that passages are grouped to include one fiction and one non-fiction for each topic. She has a set for all seasons, plus the one to the right for beginners. It helps to differentiate in my classroom! The final product I want to share with you is one by the amazing Jodi Southerland of Fun in First. Her comprehension notebooks are perfect for working on one text for short amounts of time each day for a week. These are set up with a passage and 5 activities so that students are reading the same passage each day and working on a seperate activity/skill each day of the week. Click on each picture to visit their TpT stores and find out more about these amazing products! 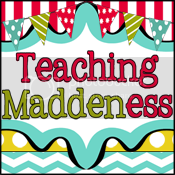 Another great strategy that I recently came across is the Rainbow Strategy for Reading Comprehension that Amanda from Teaching Maddeness explained over at the Owl-ways Be Inspired blog. I see it working for my students already so click on the picture below to find out more!